System is in very good condition. 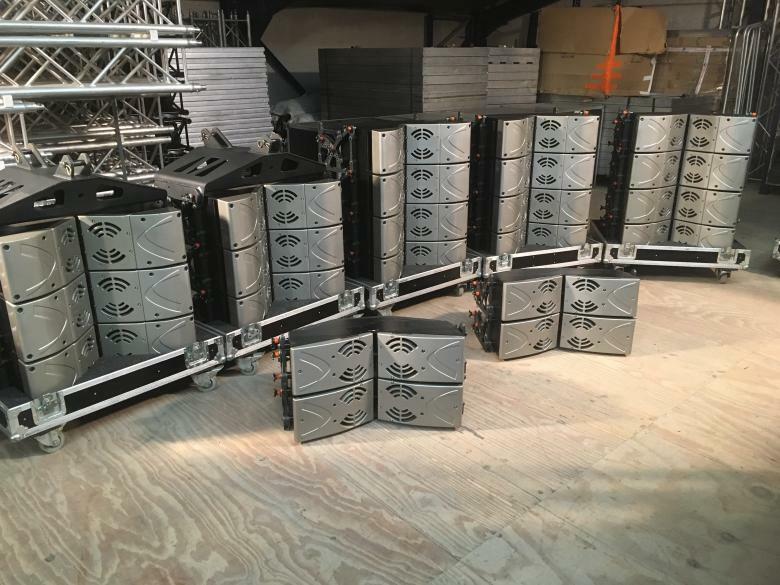 A compact, extremely high-output array module, the T4805 is the centerpiece to GEO T vertical tangent array system design. The 5° Hyperboloid Reflective Wavesource is optimized so that multiple GEO loudspeakers coherently radiate tangent wavefronts, allowing these curved vertical arrays to deliver consistent front-to-rear SPL across all coverage areas. Advanced DSP algorithms, applied by the NX242 TDcontroller, provide GEO T systems with unrivalled midbass directional control. A compact, extremely high-output array module, the versatile T2815 is often used at the bottom of T4805 vertical tangent arrays, and in traditional horizontal arrays. The 15° Hyperboloid Reflective Wavesource is optimized so that multiple T2815s coherently radiate tangent wavefronts, when used in curved vertical arrays, to deliver consistent front-to-rear SPL across all coverage areas. Twin rear- firing passive resistors provide exceptional, passive midbass directional control.